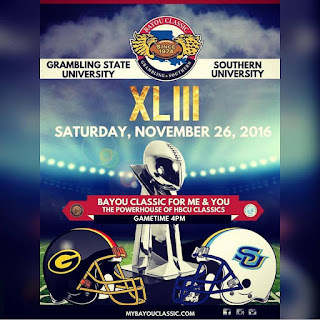 Sure, Michigan vs Ohio State is a great rivalry right up there with Alabama vs Auburn , and Army vs Navy, but let's not forget about today's matchup of Grambling University (8-1) vs Southern University(8-2) in the Bayou Classic. 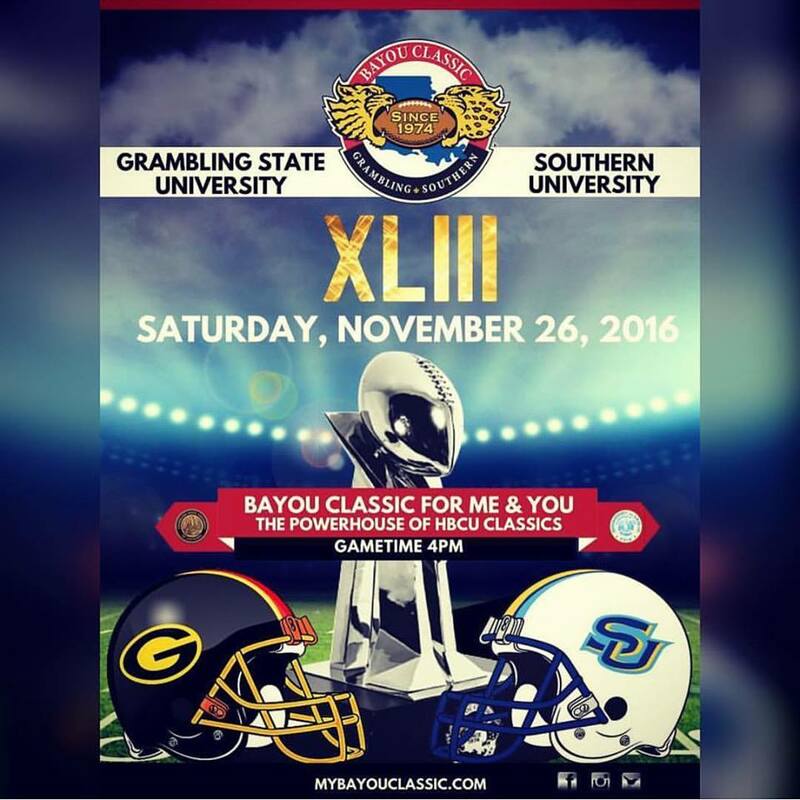 The two HBCU teams head into the 43rd edition of the Bayou Classic with a lot on the line. Both teams are undefeated in the Western Division so the winner of the game will head to the SWAC (Southwestern Athletic Conference) championship game to face Eastern Division champ, Alcorn State. The winner of that game heads to the Air Force Reserve Celebration Bowl to play MEAC (Mid-Eastern Athletic Conference) Champion North Carolina Central see who is the best HBCU football team in the country.